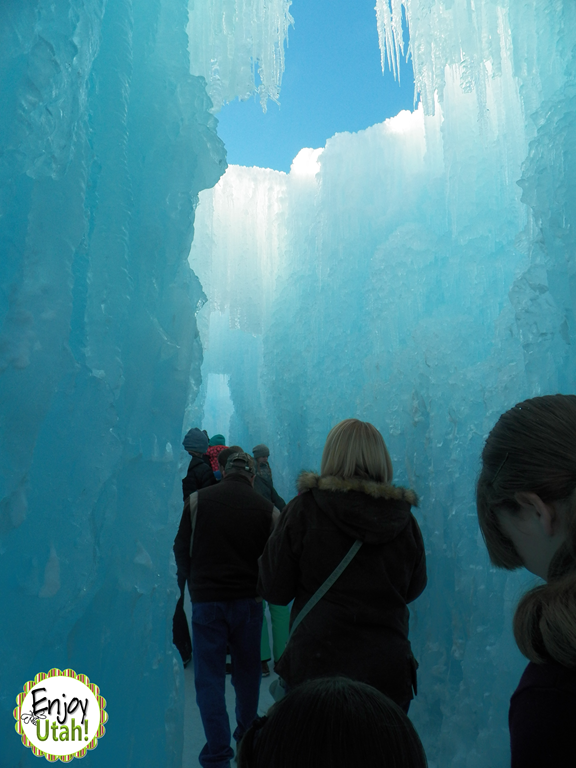 Read our reviews from 2015 and 2014, and stay tuned for our review soon of this year's Ice Castles! 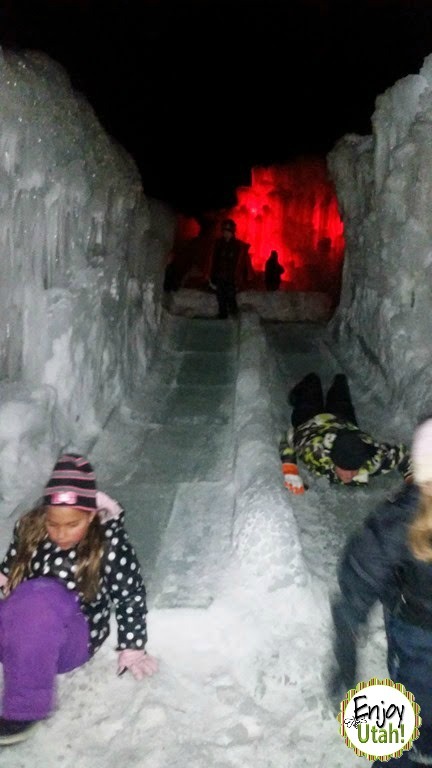 View a video on our YouTube channel of the Ice Castles at night from 2015. WHEN: Opening day: Friday, Jan. 8, 3-11 p.m.
Tickets are limited and must be purchased in advance at icecastles.com/midway/. 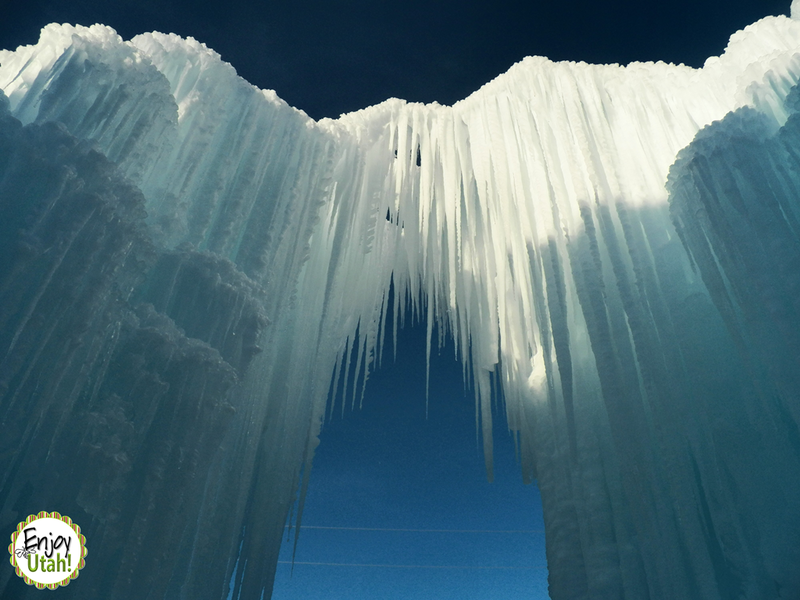 MORE INFO: See beautiful photos and videos or learn more at icecastles.com, instagram.com/icecastles_ or facebook.com/IceCastlesUT/. About Ice Castles Ice Castles is a Utah-based company, led by ice artist Brent Christensen and CEO Ryan Davis, which creates acre-sized, all-ice castles at venues across the United States and Canada. 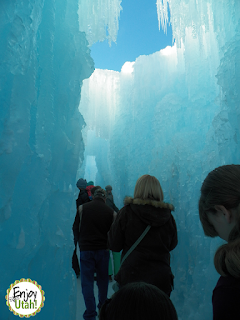 Over 750,000 guests have visited an Ice Castle since the company's establishment in 2009. GIVEAWAY: Two people will be chosen at random to receive a pair of tickets to visit the Midway Ice Castles during its 2016 season. Enter the Rafflecopter below after reading terms and conditions. Deadline to enter is Thursday January 14th, 2016 at 11:59pm. Two winners will be randomly selected to each receive two tickets to the 2016 season of the Midway Ice Castles. Winners will be notified via email and must respond within 24 hours to notification email to receive their codes. If winners have not responded within 24 hours, new winners will be chosen. Enjoy Utah and Ice Castles will not be responsible for any reason winner does not receive notification email after it has been sent out. This includes but is not limited to lack of internet service, spam or junk email filtering, old or inactive email associated with Facebook account, or any other reason winner does not see email. I love sledding, but this looks like it would be just as much fun! We love to go sledding! I like to build snowmenand make snow angels. This looks amazing! My family would love this! We have a huge hill in our backyard, so we don't have to go far to sled! We love sledding and some snow shoeing! We love snow tubing. This looks so fun to walk through though. I love snow. This looks fun! This looks so fun! We are heading up that way from So Cal, to take our daughter to the MTC on 1/20. I would love to win tickets! we love to sled and tube. I don't ski or snowboard, but have always wanted to get out more in the Utah winters! Definitely need to check out the ice castles! Sledding! We went to the Ice Castle two years ago and it was fabulous! I like to go ice skating in winter. Maybe I pretend like I am an olympic figure skater. I enjoy skiing in fresh powder. Time to hit the slopes. I really like to go sledding with my kids.